We all want to live somewhere safe, however no matter the positive reputation of a certain area, no place can ever be totally safe. With the recent increase in violence and crime in Sydney, it pays to do some research. There are suburbs in Sydney that have minimal crime rates and high livability scores – you just have to know where to find them. You can take a look at the latest crime report by the NSW Bureau of Crime Statistics and Research, check the Urban Living Index, or read the Domain Liveable Sydney 2016 study. Feeling safe at home, walking home in the dark without fear, and being able to live happily and peacefully with ease is something many of us desire. You can have all of that, if you continue reading to find out where the safest suburbs are in Sydney. If you’re thinking of moving to Sydney or relocating to a safer place, we’ve put together the suburbs you should look at, as well as the ones you should avoid. hich Sydney suburbs are considered safest? The lowest crime rates reported by the NSW Bureau of Crime Statistics and Research are in Bankstown, Baulkham Hills, Hawkesbury, Fairfield, Holroyd, the Inner West, the Northern Beaches, North Sydney, Hornsby, Ryde, Sutherland and the Hills Shire. These suburbs and areas experienced a decline in robbery with and without a weapon or firearm, break and enter events, stealing from property, and malicious damage to property. The safest individual Sydney suburbs were also identified by the NSW Bureau of Crime Statistics and Research. These include Bankstown, Baulkham Hills, Hawkesbury, Canterbury, Fairfield, Holroyd, Hurstville, the Northern Beaches, North Sydney, Hornsby, Mosman, Ryde, Sutherland and the Hills Shire. These all recorded the lowest rates of break and enter events over two years. According to the Urban Living Index by McCrindle Research for the Urban Taskforce Australia, the suburbs that can also be considered safe are those that are liveable and affordable. These include Lalor Park, Kings Langley, Menai, Blaxland, Crows Nest, Waverton, Surry Hills, Pyrmont, Ultimo and Kurrajong. 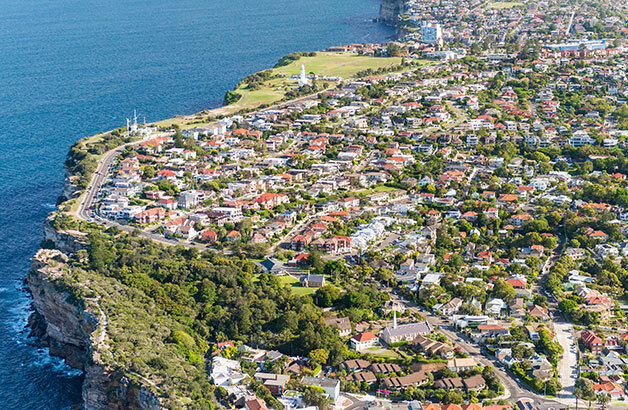 The index measured the affordability, community, employability, amenity and accessibility of 228 suburbs in Sydney, to determine how liveable they are based on data from the Australian Bureau of Statistics. As you can see, the most liveable suburbs are definitely close to the Sydney CBD. A new study by Domain called ‘Domain Liveable Sydney 2016’ looked at 555 suburbs in Sydney, and they came up with their own top 10 most liveable suburbs: Lavender Bay, Milsons Point, McMahons Point, Kirribilli, Waverton, Wollstonecraft, North Sydney, Millers Point, Elizabeth Bay and Darling Point. These all ranked high in livability based on 16 indicators, including public transport, views and amenities. Close proximity to the Sydney CBD. Which suburbs aren’t considered as safe? Suburbs and areas that recorded the highest crime rates include Blacktown, Sydney CBD, Penrith, the Blue Mountains, the Inner South, the Inner South West, the Outer West and the South West. These all experienced a rise in crimes such as robbery with or without a weapon or firearm, breaking and entering property, stealing from property, and malicious damage to property. Suburbs that ranked the lowest on the liveability index are located far from the Sydney CBD and include Lethbridge Park, Tregear, Bradbury, Wedderburn, Cromer, Horsley Park, Kemps Creek, Yarramundi and Londonderry. Living in one of the safer suburbs of Sydney may keep your property and your loved ones safe, but you can truly ensure their safety and enjoy peace of mind by installing security screens and doors. Contact CommandeX today to get a free measure and quote, and see how we can help you protect your home and family.